New high density housing in downtown Denver. 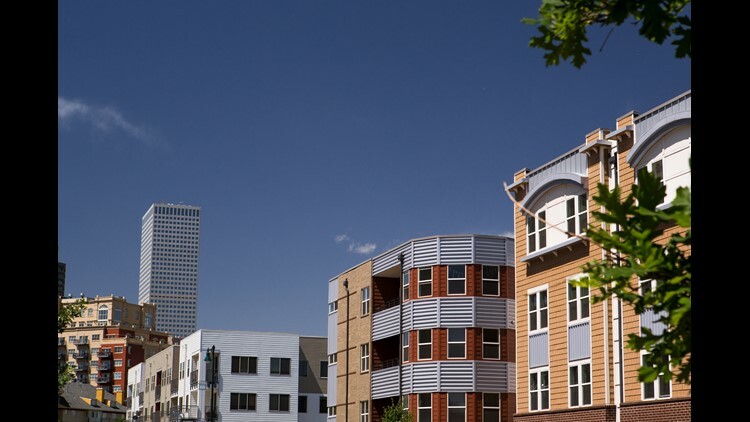 In the midst of its soaring cost of living, Denver could extend an assistance program it says has helped hundreds of Denverites experiencing a housing crisis. Denver launched the Temporary Rental and Utility Assistance Program (TRUA) last fall and says after a pilot period — Nov. 1, 2017 to early March 2018 — the program has exceeded expectations, aiding 486 households with rent assistance and 84 households with water or energy bills, collectively serving 69 Denver neighborhoods. And, just 5 percent of households that used the program received more than one month’s assistance, according to the city. TRUA is geared toward those facing a rent increase, uninhabitable living conditions evidenced through a public health violation, a past-due notice or loss of a job. Those eligible could receive up to six months of rent assistance and up to $1,000 in utility payments, the city has said. Eligible households can earn up to 80 percent of area median income — $50,350 for an individual and $71,900 for a family of four.